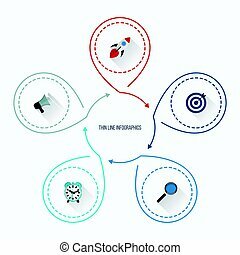 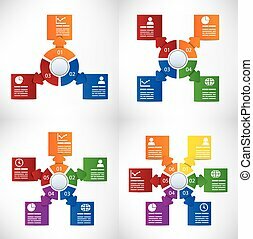 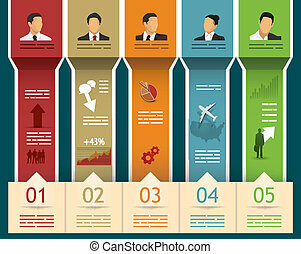 Arrows for business infographics. 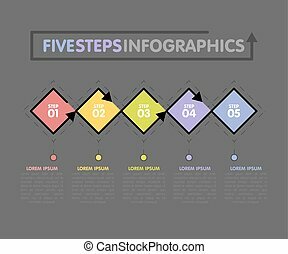 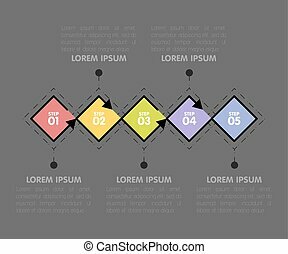 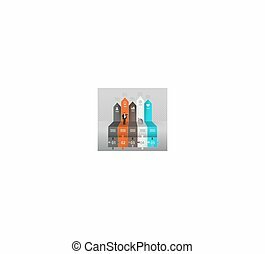 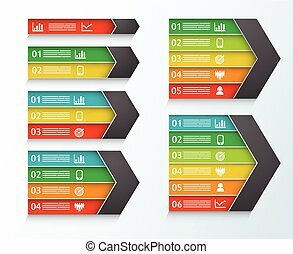 Vector banner with 5 options. 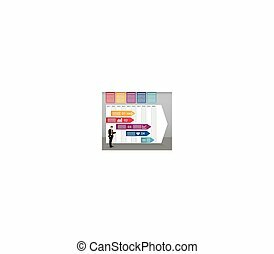 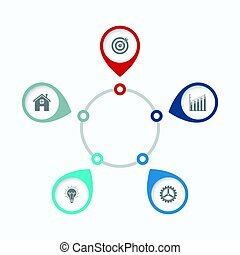 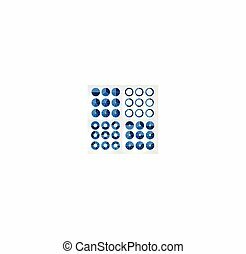 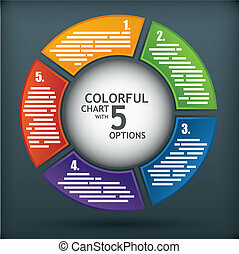 Used in brochures or flyers and diagrams or presentation templates. 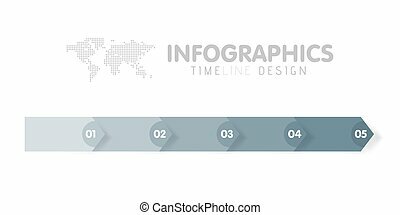 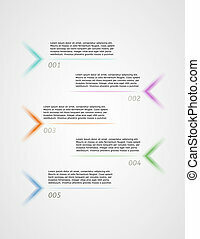 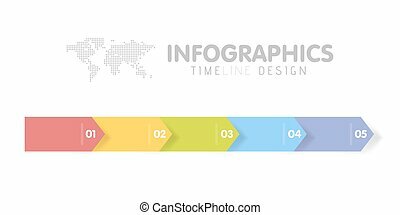 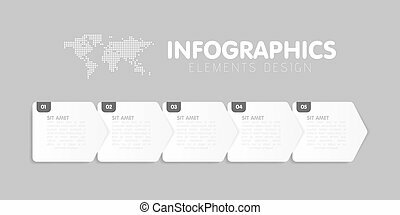 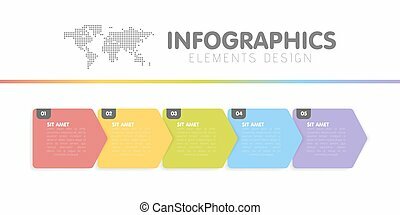 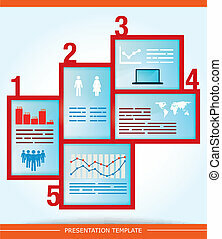 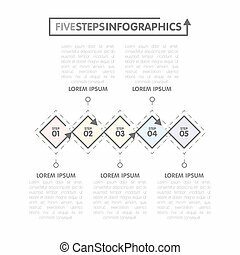 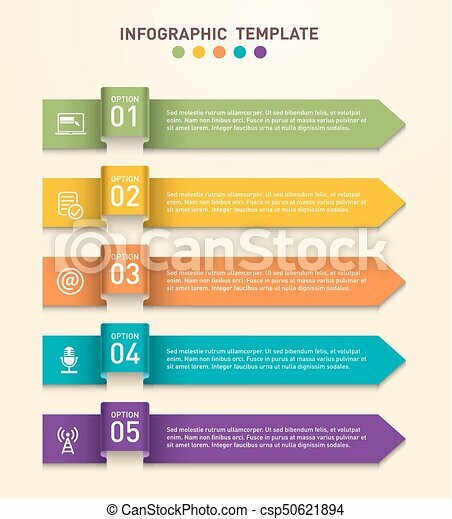 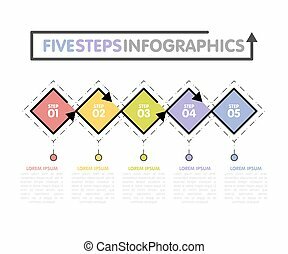 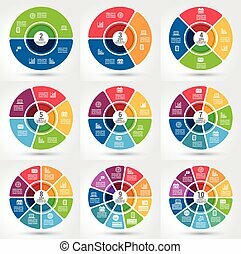 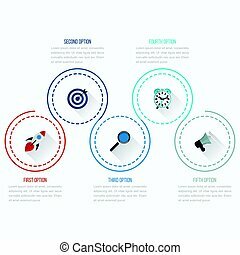 Business infographics template. 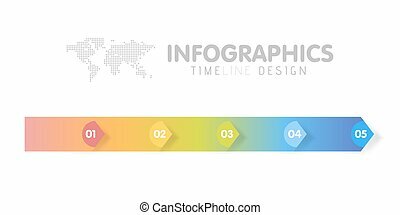 Timeline with 5 arrow steps, five number options. 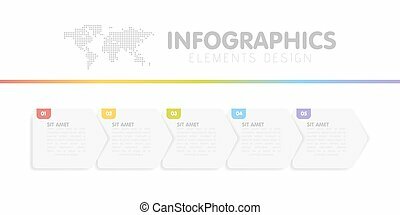 Vector element.